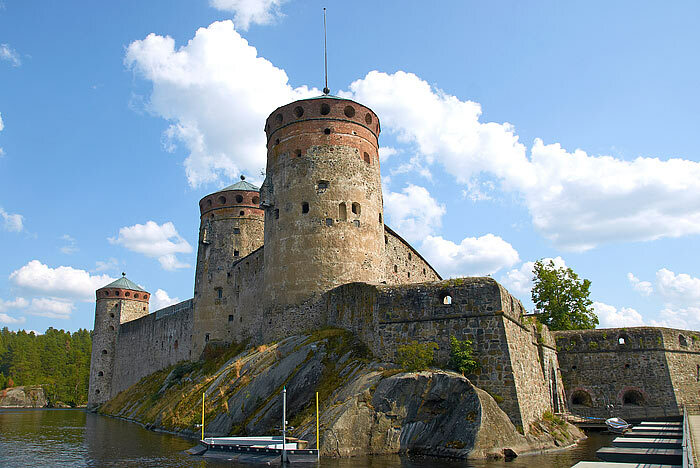 View of the fortress Savonlinna from the drawbridge (from the west). Bridge is on pontoons and can be moved aside for the passage of ships and equipped with traffic lights. 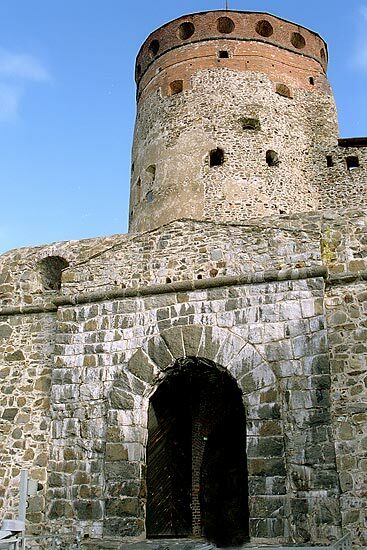 It was built in 1975 for the 500th anniversary of the fortress.